PEOPLE RESOURCING Chapter One Introduction. People resourcingis the range of activities undertaken by P&D to ensure that the organisation has the resources. 2 People resourcingis the range of activities undertaken by P&D to ensure that the organisation has the resources required to meet its key goals: Staffing Performance Administration Change management P&D specialists must continually evaluate these practices for effectiveness, efficiency and fairness. 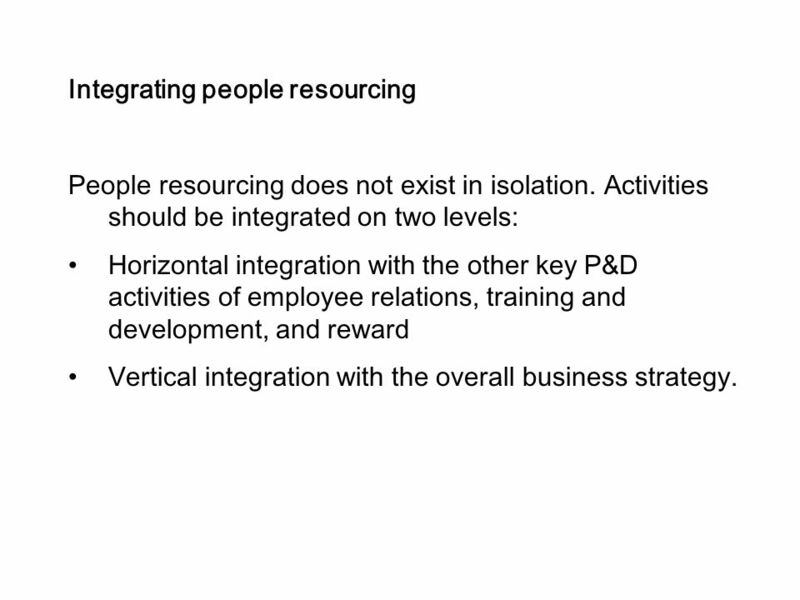 5 Integrating people resourcing People resourcing does not exist in isolation. Activities should be integrated on two levels: Horizontal integration with the other key P&D activities of employee relations, training and development, and reward Vertical integration with the overall business strategy. 6 Integrating people resourcing (cont.) 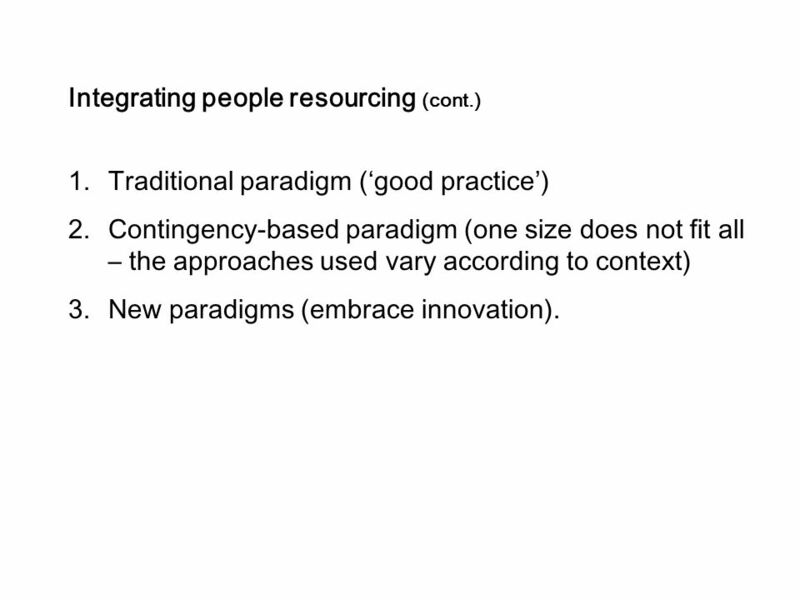 1.Traditional paradigm (‘good practice’) 2.Contingency-based paradigm (one size does not fit all – the approaches used vary according to context) 3.New paradigms (embrace innovation). 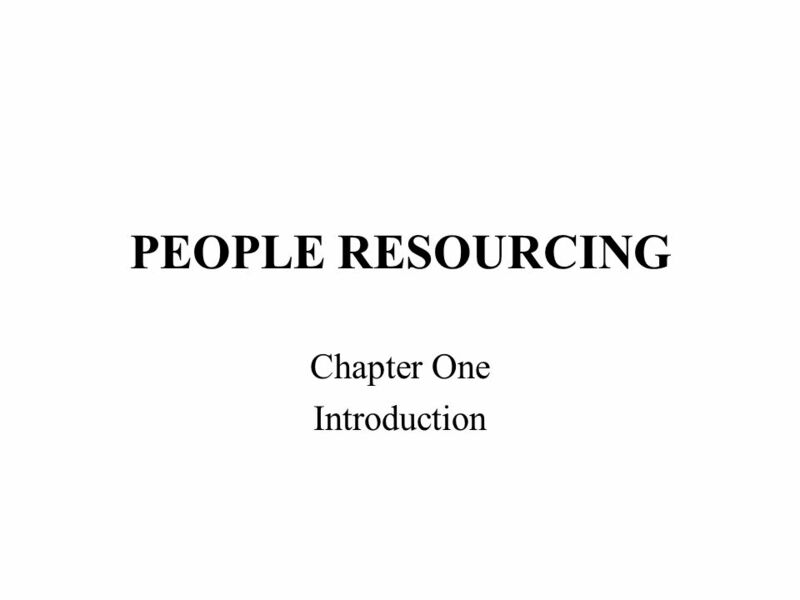 Download ppt "PEOPLE RESOURCING Chapter One Introduction. 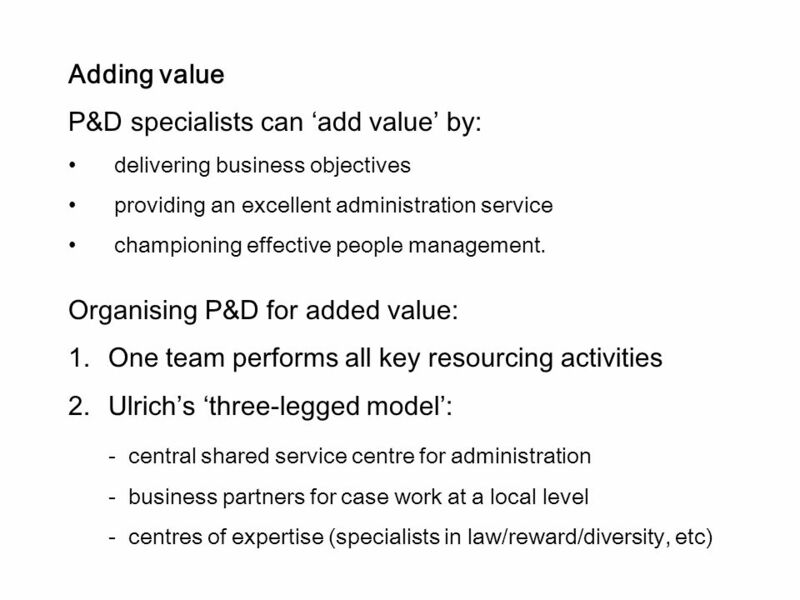 People resourcingis the range of activities undertaken by P&D to ensure that the organisation has the resources." For use with Organizational Behaviour and Management by John Martin and Martin Fellenz © 2010 Cengage Learning HRM and organizations Chapter. 1 A. Introduction 1.Object of study: firms, markets and systems; structures and behaviour 1.1. Object of the Firm and Industrial Economics 1.2. Basic concepts. What Is the Strategic Perspective? Capon: Understanding Organisational Context 2nd edition © Pearson Education Understanding Organisational Context 2e Slides by Claire Capon Chapter. © 2007 Pearson Education Canada 1-1 Dessler, Cole, Goodman, and Sutherland In-Class Edition Management of Human Resources Second Canadian Edition Chapter. Chapter 16 Strategically Managing the HRM Function Copyright © 2015 McGraw-Hill Education. All rights reserved. No reproduction or distribution without. Copyright  2003 McGraw-Hill Australia Pty Ltd. PPTs t/a Human Resource Management in Australia: Strategy-People-Performance by De Cieri & Kramar 1 Human.